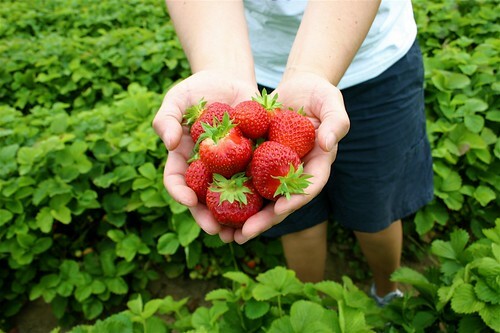 We went strawberry picking at Sauvie Island this weekend. AdRi loves picking strawberries. She relives her Oregon childhood of picking berries, and becomes the row boss and performing quality control. Saturday morning was overcast and warm, and the fields weren't too crowded at all. The strawberries were just ripening, and perfect for picking. Columbia Farm on Sauvie Island is a great place to pick, and we quickly filled our boxes. The colors, the scent, these berries are delicious. These ones were Hoods. We stopped and bought a half flat of Shuksans as well, to make Strawberry Freezer Jam with. I'll blog about that tomorrow. In fact, I'm so smitten with these Oregon strawberries, I'll be blogging strawberry recipes and photos the coming few days. And maybe, just maybe, someday, I'll be able to call myself an Oregonian. But it's hard to let go of my love of California strawberries. I wonder how they would stand up to the delicious Louisiana strawberries. That would be fun to compare. I am just going to pretend I never read this. Next thing I know you're going to be talking about the virtues of Seattle. Picking strawberries is hard work. It pays very little and is usually run by a draconian leader. 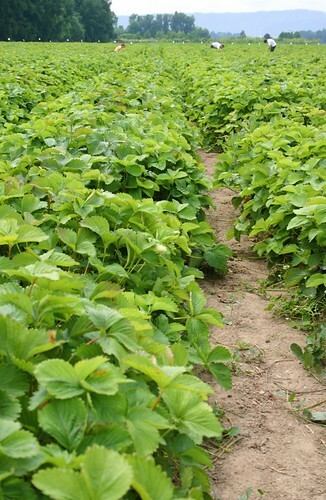 Yes picking strawberries is hard work..but "back in the day" that was how we made money in the summertime. If you worked hard you made the money if not you didn't. Hmmm..A nice character trait to carry over into adulthood. Those times are some great memories..wouldn't trade them for anything! Bring on the strawberry recipes, I adore all things strawberry! Syd-Would those be pickled in Kool Aid? 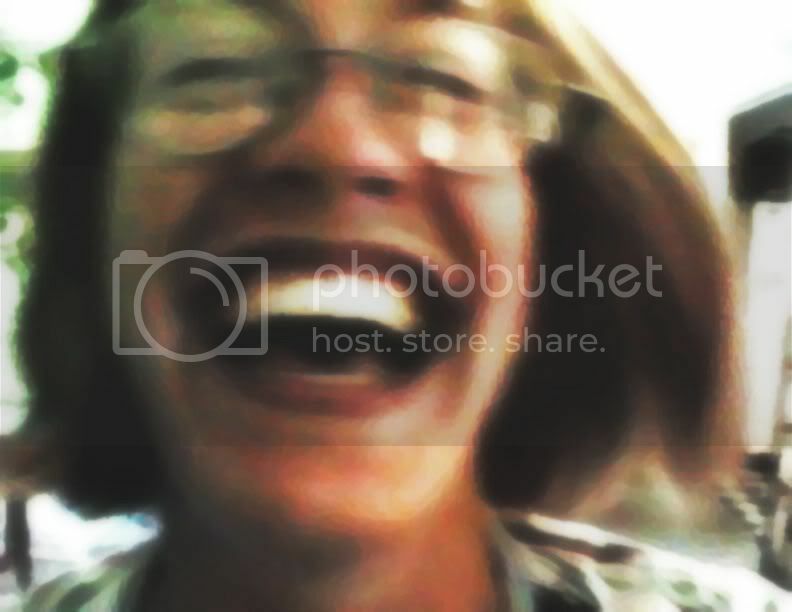 Wacky Mommy-I know! It's totally not PC to say California strawberries are better than Oregons. I've come to realize that. Anon 1:12-Yes, it is very hard work, and I have the upmost respect for those who pick our produce for us. On this day, however, we picked it ourselves. Anon 1:23-AdRi has fond memories, too, of picking berries as a child. Part of the reason why we go pick as adults is so she can revisit her childhood. It's true! SassyFemme-For you? You betcha. Strawberry recipes all week long. You just needed to have a peach contest -- there is NOTHING like a peach grown in the Oregon mountain valleys. Nothing. oh, but a peach grown in the SOUTH CAROLINA Piedmont . . .
Those look absolutely delicious! I'm sad we didn't get out to Sauvie Island's harvest season before we left. We grow California strawberries here because they are bigger and have longer shelf life. It might be hard, if not impossible, to find Oregon berries. They are smaller and definitely taste better. 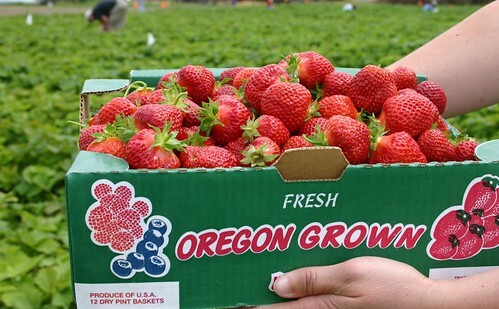 As a picker from ages 10-14, they went from growing Oregon berries to California and I could certainly tell the difference. Hoods are the best! So beautiful and tasty! 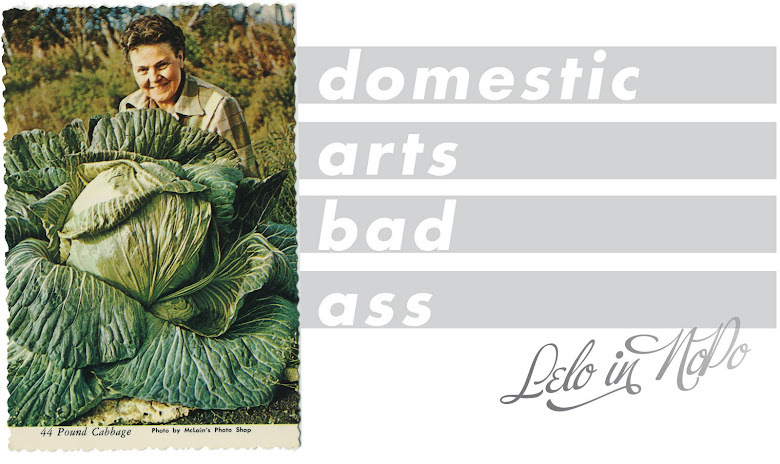 I have to tell you how much I enjoy reading your blog - I too love cooking and gardening. My grandparents lived in Oxnard (we were in the Valley) and we used to go up there all the time and stop at the little farm stand and get strawberries. Boy were those California strawberries good! But if you buy them in a grocery store, there or here, they don't compare to Oregon's. The difference anywhere is freshness. I, too, will be a true Oregonian some day. It's been 12 years - does that count? Saw your photo on Serious Eats - great shot! I'm an Oregonian now living across the country. I just wrote about my strawberry childhood memories the other day (here). I used to spend a lot of time on Sauvie Island, love living vicariously through your post! Hey! I was born in Oxnard too! I've lived here since infancy though, so I am compelled to fight to the death for the supremacy of Oregon strawberries. RAH!